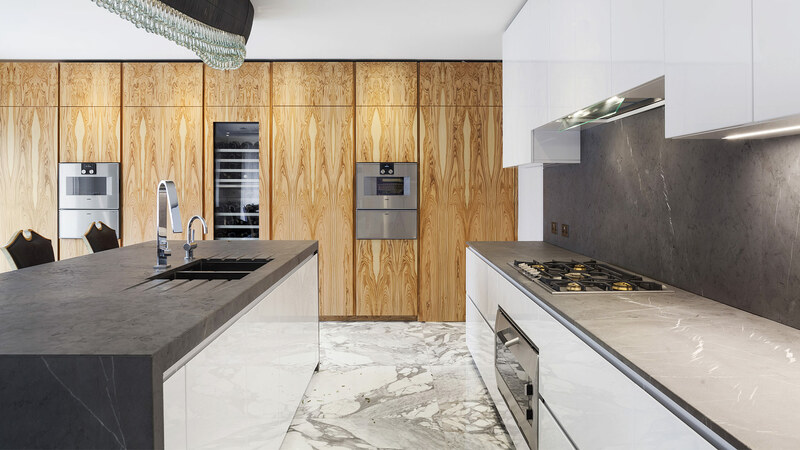 Clever solutions integrate the cabinetry with the architecture and provide structure to the space in this live wood kitchen. 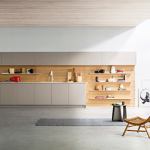 Doors to the two technical areas are concealed in the wall of cabinets for seamless aesthetics and functionality. 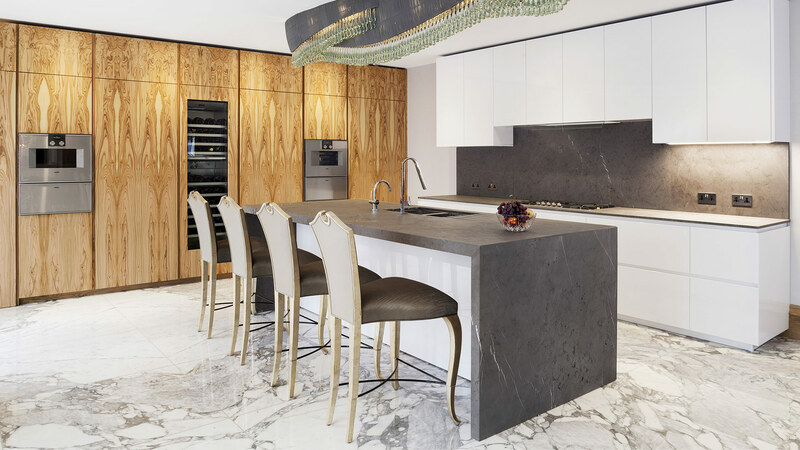 The tall cabinets as well as the access doors to the technical areas are in bookmatched olive veneer. 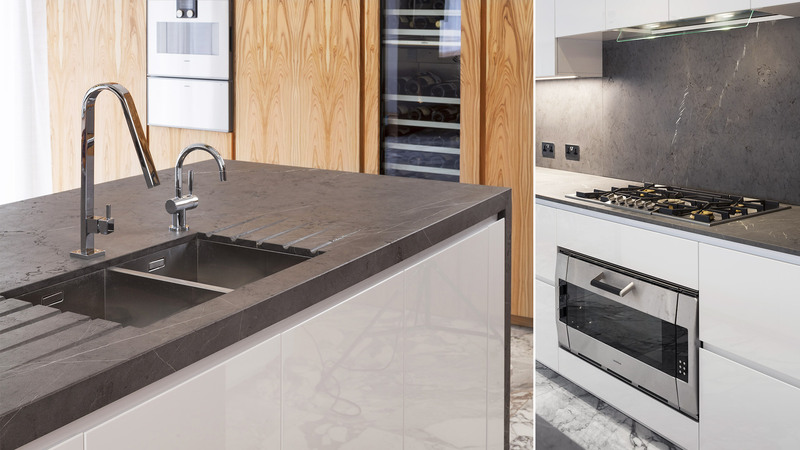 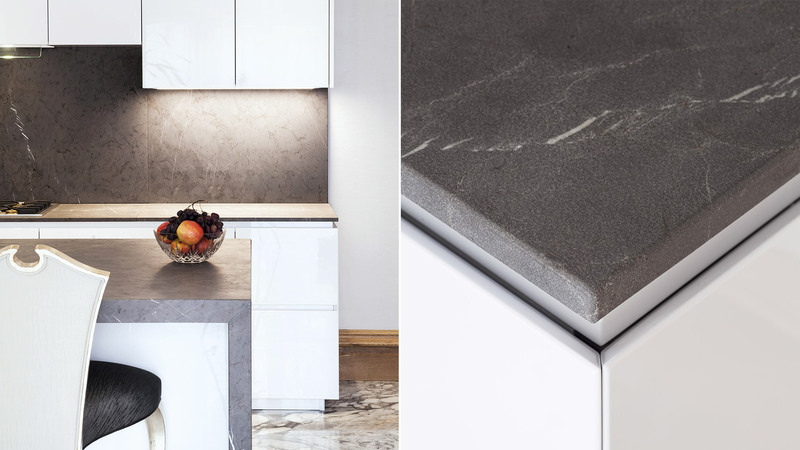 The island is based on a T30 concept, with worktop and side panels in Corinto macrato mitred stone, its doors, as wall as the wall and base units on the wall run, are in glossy white lacquer.